At Fuqua, one of the most important lessons students learn is how to show leadership in all areas of their lives. Leadership through philanthropy is a natural extension of this lesson. Your leadership support is a public statement of confidence in the school and raises our reputation in the marketplace. It shows that Fuqua is a leader in business education and that our alumni take pride in the school. Your participation, as a leadership donor, also strengthens our momentum and encourages fellow alumni to step up and support the school. The Thomas F. Keller Leadership Donor Society recognizes alumni and friends who make annual contributions totaling $1,000 or more to Fuqua. This society honors Dean Emeritus Tom Keller who, through his insightful leadership, recognized the importance of securing financial support to make Fuqua a top business school. Additional leadership donor events will be added as they approach. Watch your inbox for invitations to these and other Keller Society gatherings. The Rex D. Adams Society recognizes individuals who have provided cumulative gifts to Fuqua totaling $50,000. This society honors former Dean and current Board of Visitors member Rex Adams who, through his leadership and continuing support, will leave a lasting legacy. 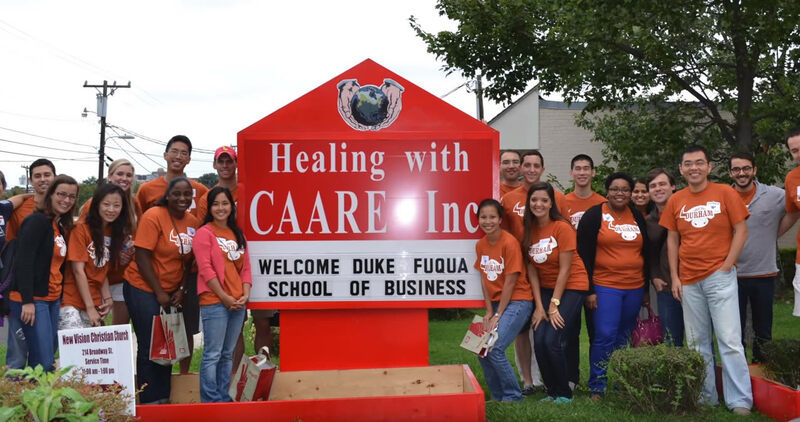 Fuqua's Isle Maligne Society Charter Members are a special group of forty individuals who, in 1983, each pledged $25,000 to Duke University's Graduate School of Business, now known as The Fuqua School of Business. These Isle Maligne Society Charter Members possessed the vision and wisdom to make a significant impact on worldwide management education, the fledgling business school, and the future of Duke University. Duke University recognizes donors in a number of different ways, including those who have supported The Fuqua School of Business. Visit the Giving to Duke recognition page to learn more.